Ah yes, the Dedes are on the back bench for a little while again. I so wish I could work on my book, but at the moment I am overloaded with work at my part-time place. The foundation course I am teaching on has just finished and all those poor teachers out there know what that means: Heaps of marking, following up slackers and other administrative tasks. Last Friday though we had a wonderful exhibition and it was a brilliant send-off for all the students who have been working together for 18 weeks. One of the last modules I taught was fibre arts and the picture shows the work of Sam Hall. I am confident he is one we will hear more of in the future. He is now off to art school in Oxford and I wish him all the very best for his career. The artwork is a felted brain doused in red wine. 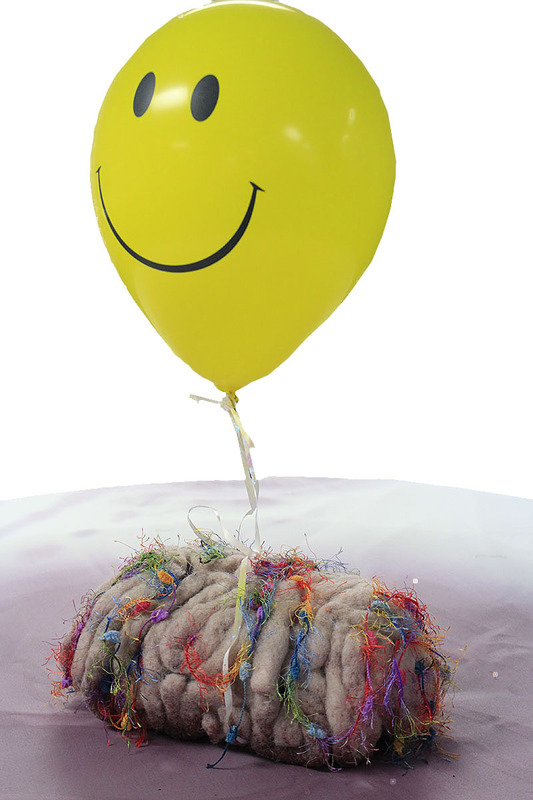 The helium balloon smiles at you for a while, but when you come back a few hours later it will lie limp and deflated next to the damaged brain.